The application downloads in a second or two, weighing in at just a few megabytes and presents you with a quick set-up process, where you can see what exactly the back-up entails. When set up is finished, the main window appears, showing your back up status in the “Status” tab. As well as Status, there are 2 other tabs. Firstly, the “Backup” tab allows you to view what’s being backed up on your hard drive at a glance via coloured indicators by each folder: green, amber or red depending on whether the file is backed up, scheduled for back up or not backed up. The final tab allows you to “Restore” the files from the remote backup file back to your hard disk. You can either choose to restore individual files and folders or select “Restore Assistant” to restore every backed up file to their original location on your hard drive. 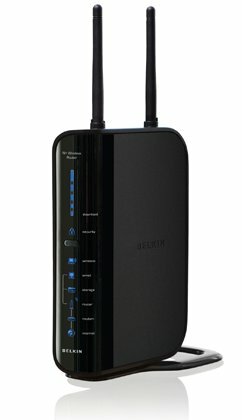 If you don’t have a great internet connection, it may take a while for the initial backup to complete depending on how large a backup you’re doing. 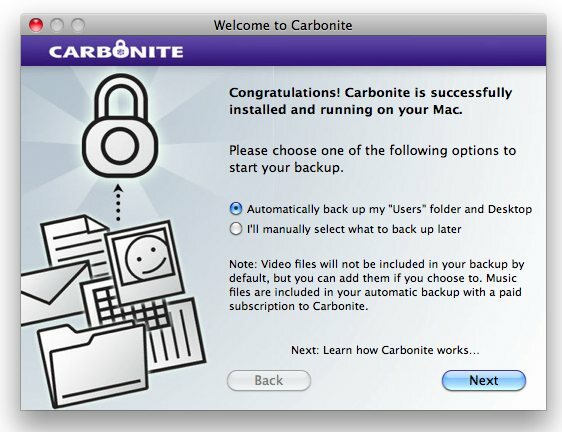 Carbonite doesn’t back up your system files or applications from your hard drive, so we’re not talking huge amounts of data, although you’d be surprised at how quickly things fill up… When I was backing everything of mine up, I felt like Homer Simpson at an all you can eat buffet (or the backup equivalent?) because I was on the same price as everyone else, but I was uploading a few years worth of crap from my hard drive to backup. Carbonite’s a great service, but if you’re paying $54.95 (£33.59 at the time of writing) a year to use the service, you need to get your money’s worth! Admittedly, one feature I couldn’t find which would have been a nice addition was the ability to set the system to back up at a certain time (so I could leave on my computer overnight and have it backed up by the morning), although perhaps that’s not needed if it’s just sat there working as needed once the initial backup is complete. In terms of security, you can be sure that your data is in safe hands as the files are not just encrypted once, but are in fact encrypted twice before they leave your computer and then stay encrypted at Carbonite’s secure data centres – this way you can be sure that the only person who will be able to see your data is yourself. However, the option to see/use your data isn’t just available in the usual “restore to your computer” feature, but you can also have secure remote access via Carbonite’s website, no matter where in the world you might be! 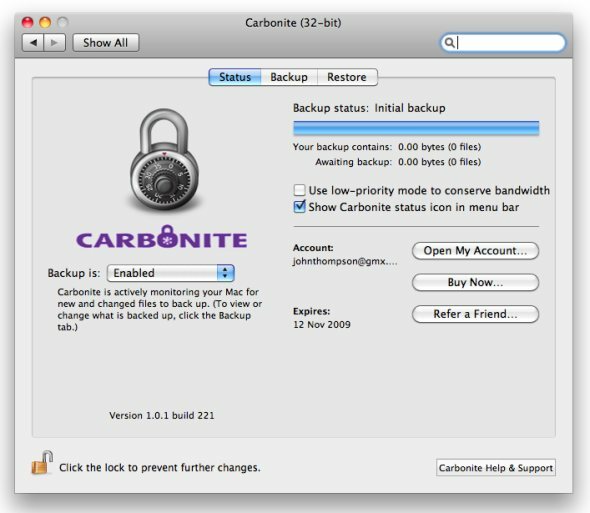 Overall Carbonite makes for a good solution for online file backup, especially if you’re backing up a lot of data and still need to use the web for various things (or have a slower upload connection speed), you can set the upload to “lower priority” so that it doesn’t demand all of your precious bandwidth all the time. Of course, it takes longer to back up this way, but you don’t have to worry about not being able to do other things like surfing the net at the same time.